The SXSW Music Festival team is spending these hot summer days going through your Showcase Applications, and we’re enjoying what we’re hearing so far. If you’re interested in being a part of the event, apply to be a Showcasing Artist or enter a PanelPicker session idea. This week welcomes a nice mix of new artist releases from past SXSW showcasing artists heavy on dreamy rock and electro-pop tones. Ishmael Butler, Left-field hip-hop artist Shabazz Palaces, releases 2 lps to keep fans busy getting their heads around his psychedelic beats. Michelle Zauner’s solo project Japanese Breakfast release Soft Sounds From Another Planet today, a conveniently named album that also functions as a great description for her take on eclectic indie-pop, although she does tend to get a bit noisier than she gives herself credit for. Electronic pop act RAC release the cheeky collaboration-filled electo-pop album EGO as well. Each week we will pick one of the album releases and make a playlist for those that are enjoying the album but want to discover more similar artists. 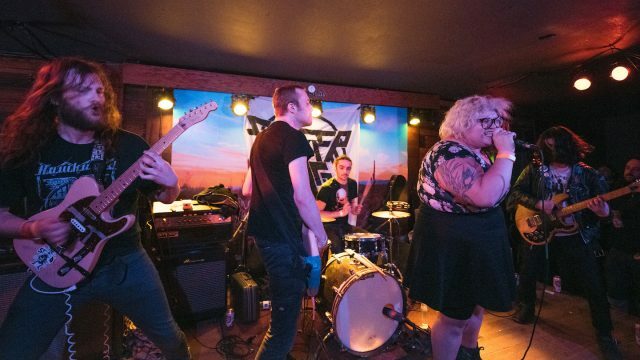 This week, we’re selecting a indie and garage rock playlist inspired by Sheer Mag, their new album Need To Feel Your Love releases today. Go ahead and give it a listen because these playlists will only be active for one week before we pick a new artist to focus on. Follow us on Spotify to keep up with our playlists each week, and be sure to follow the playlist.